North meets South on the first collaboration between Canadian blues/roots master Colin Linden (Blackie and the Rodeo Kings) and roots rock stalwart Luther Dickinson (North Mississippi Allstars). Teaming up guitar slingers could result in an overabundance of noodling, but not on this set of romantic-leaning standards. Producer Linden, a purveyor of discrimination in recording situations, elects to run his and Dickinson's guitars through a shared amp, providing an amalgamated sound complemented by distinctive notes and flourishes seamlessly woven into a delicate balance of artistry and expertise. 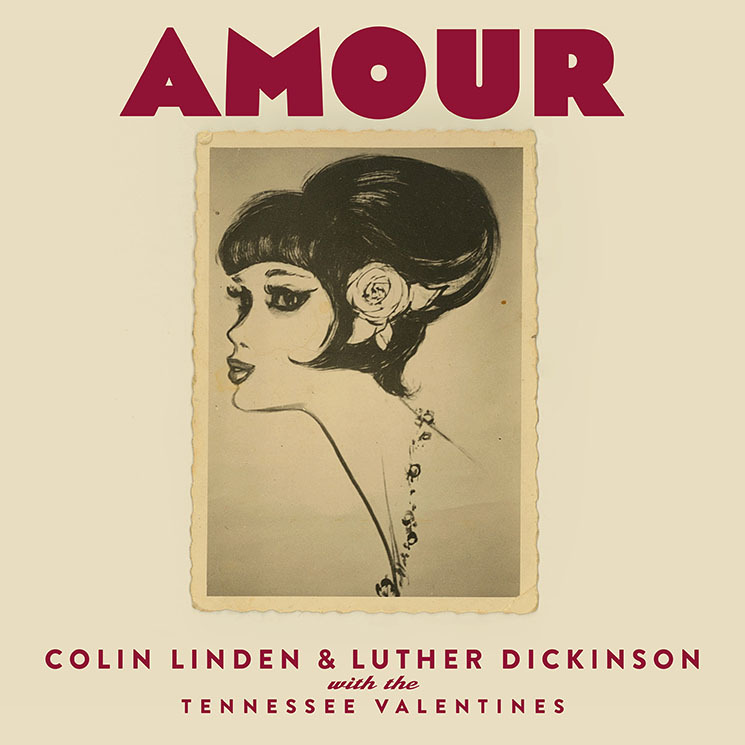 Augmented by studio wizards — including the venerable Fats Kaplin (violin and accordion) — dubbed the Tennessee Valentines, Linden and Dickinson explore Southern-washed, amorous gems from the Americana songbook. Linden's Nashville cohorts Sam Palladio ("Crazy Arms") and Jonathan Jackson (an especially distinctive interpretation of "Forgot to Remember to Forget") give voice to familiar classics, while songwriter Billy Swan delivers a spirited and still-vital take of "Lover Please." With its emphasis on familiar songs, what distinguishes Amour is the vibrancy the principals bring to its recording. Linden, joined by Rachael Davis and Ruby Amanfu (another Nashville alum), sounds positively buoyant on the R&B classic "Don't Let Go." Amanfu delivers soulful longing to the oft-covered "What Am I Living For," while she reinvents "For the Good Times" as a slow jam. Beyond adding exquisite harmony throughout, Davis's leads are inspired with "Honest I Do" being a highpoint.